For a real boy in blue! Is your child a historian in training? How many civil war generals can he name? Has he begged you to go to the famous civil war sites like Gettysburg and Antietam? 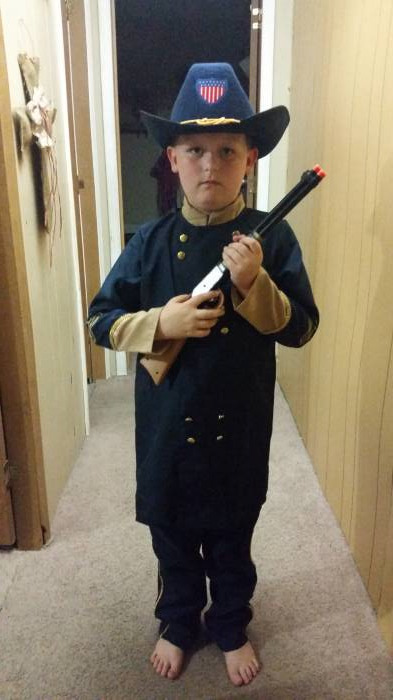 Have you ever considered enrolling him in Civil War reenactment? There is a lot of pride in remembering the brutal Civil War of 1861-1865. The people who fought so hard to keep our country together and emancipate the enslaved population should always be remembered. Brainy kids tend to be interested in the Civil War. Anything can start a fascination with this complicated part in history. Maybe your child saw or read a version of The Red Badge of Courage. Maybe it started with a love of Abraham Lincoln and expanded from there, it happens to a lot of people. One day you're trying on a top hat and beard, learning the Gettysburg address. The next day you want to know where Gettysburg is, what happened there, and why. Once your kid has an interest, how do you support him? This costume would work great to dress up for speech as Officer James Thomas kirk if your child has a school project. The double breasted button jacket and striped pant would help your child feel in character at a civil war reenactment, either as a drummer boy or a soldier. Just choose the hat that goes with the rank your child wants to assume. Maybe your kid has visions of a dignified Halloween costume or a special outfit for the 4th of July parade planned. 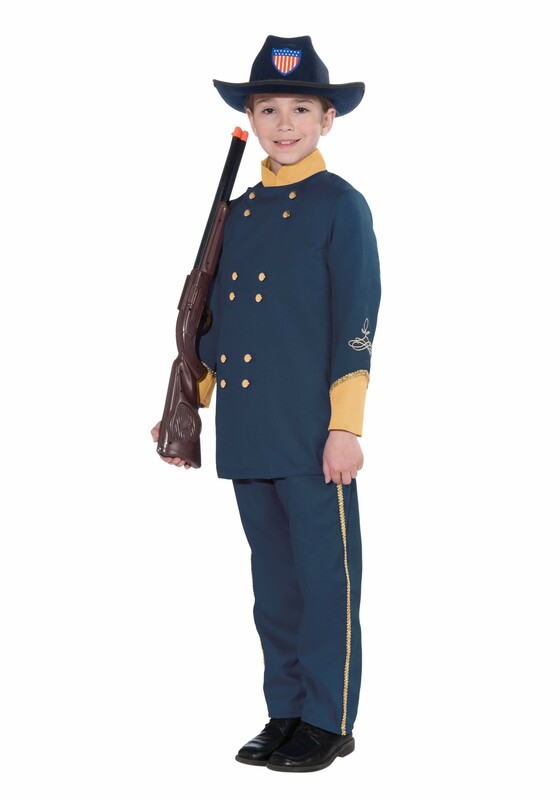 Whatever this uniform is for, your history enthusiast is sure to make our boys in blue proud. This was the perfect birthday present for my son. We LOVE it!!! !